A++++, lightning fast shipping time. Best Shirts I’ve Ever Worn! The Tultex 241 are great shirts! The company I worked for had them and I just had to get more for my personal wardrobe (16 more to be exact). I’m 6 foot tall and 150 lbs and the mediums (M) fit me really well with room to grow. I was nervous because they arrived and fit much baggier then my company shirts but after a good wash, they shrunk down to the perfect size! I love that the neck doesn’t stretch out, even after multiple uses without washing. I actually got 7 of the white shirts as undershirts because I couldn’t find a high quality undershirt that didn’t get bacon neck. These shirts are so good that it’s making me consider starting a merchandise company just so I can use these high quality shirts. Will definitely buy more when these wear out or I need different colors. Thanks! Q: are the tags on these tear away or no? 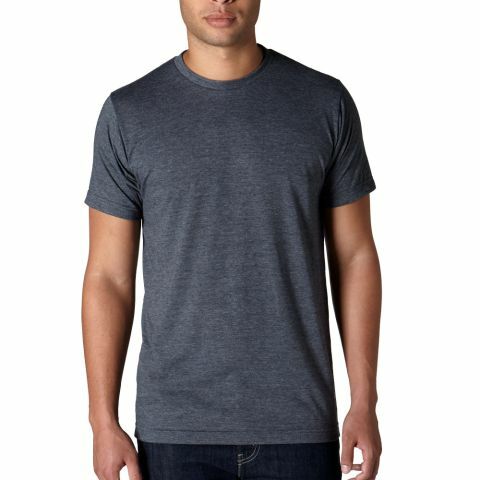 A: Yes, this tee has a tear away tag!